These are the official Dennis & Gnasher licensed characters, Dennis & Gnasher. Dennis lives in Beanotown with his dog Gnasher. Dennis is the master of mischief and mayhem. He loves his skateboard and going on adventures and having fun with his mates. He has a huge imagination and doesn’t like to follow rules. Dennis thinks the world was made to be explored, and if he always played by the rules, he’d never discover anything new. Gnasher is Dennis’s best friend in the world. He’s an Abyssinian wire-haired tripe hound. They are always together and he even disguises himself as Dennis’s backpack so they can go to school together. ADDITIONAL BRAND INFORMATION FOR Dennis & Gnasher: Unleashed! 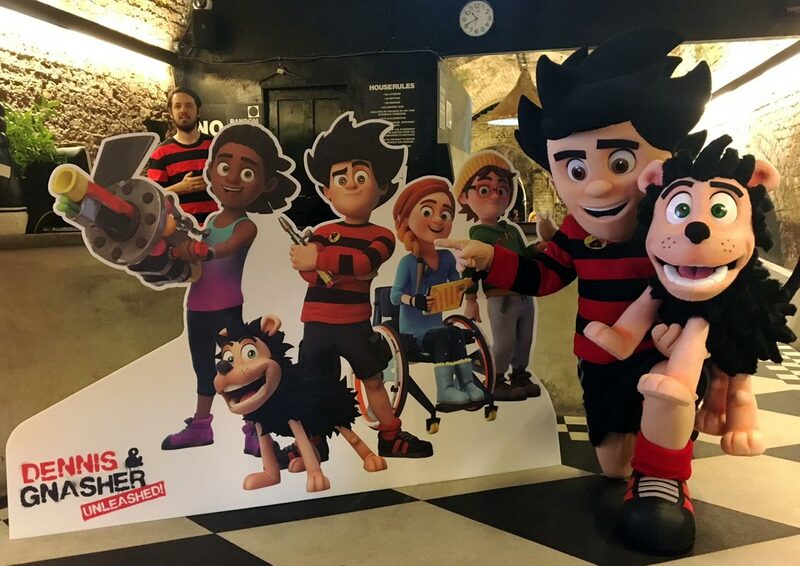 The CGI TV series, Dennis & Gnasher: Unleashed!, launched on CBBC in 2017. Beano Studios has also secured a second series. Dennis & Gnasher: Unleashed! is the third animated adaption of the strip after Dennis and Gnasher and Dennis the Menace and Gnasher. The new series stars Freddie Fox as Dennis. 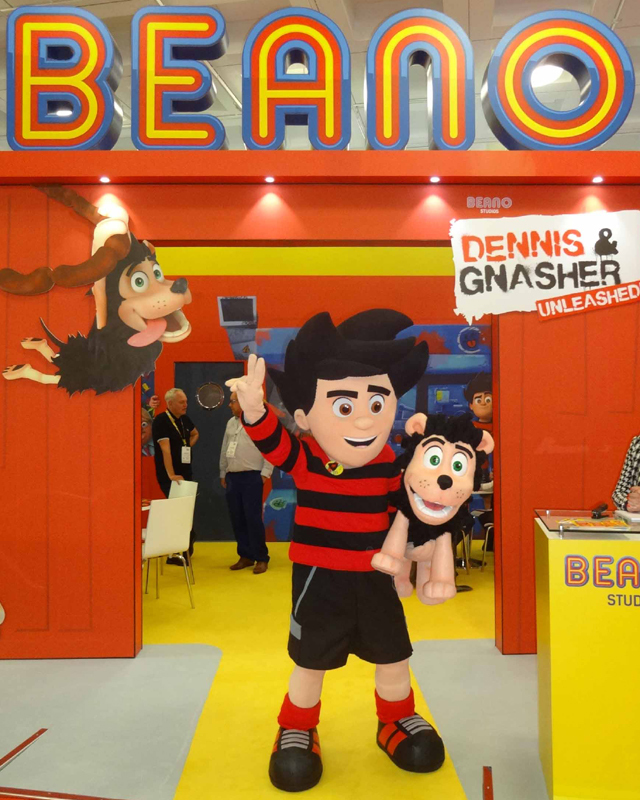 Dennis & Gnasher are available to book for UK events.